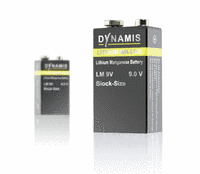 Introduced to the market over 8 years ago, the Lithium Manganese 9V block battery from DYNAMIS is now available in a new version following automation of the production processes to ensure a constant high quality. The 9V block combines high capacity of 1300 mAh, constant discharge voltage and high energy density. It is designed for a working temperature range of -30°Cto +85°C. The high performance of the 9 Volt block is completed by a very low self-discharge and a 10-year service life. High pulse current capability and light weight are also major features. Ideal areas of application are microphones and other products for Sound Systems, Medical Devices, Alarm Systems and Security Equipment, as well as Smoke Detectors, Meters and Gas Emission Alarm Devices. In addition to that we supply this battery for use in many kinds of Measuring Devices, Control Systems, Music, Audio and Industrial applications. 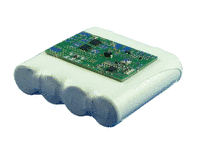 DYNAMIS has developed a universal battery management system (UBMS), specially equipped for the safe use of powerful batterie in demanding medical applications and based on the Texas Instruments BQ40Z50-R2 chipset. 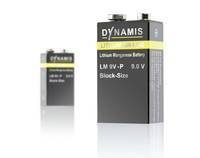 The new DYNAMIS battery product line, LIX, is especially optimized for pulse applications and contains a high capacity Lithium battery and a Supercap. A superior capacity and exceptional pulse reliability. high pulse rate. Available from stock. The Long term power supply security for wireless applications. Here are a lot of arguments for this many-sided batteries. We design and produce customized compositions of this product range. 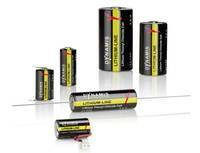 All batteries (in shrink tube) are equipped with PCM and 150mm wire. UN section 38.3 transportation test. profile of the Lithium chemistry. ment, as well as Smoke Detectors, Meters and Gas Emission Alarm Devices. In addition to that we supply to many kinds of Measuring Devices, Control Systems, Audio and Industrial applications. In the DYNAMIS Test Laboratory (pdf 344KB) we offer tests and measurements, both for custom requests / simulations and safety tests acc. UN 38.3 and IEC 62133. Temperature- and climate tests, vacuum-, short circuit-, over charges-, forced discharge-, as well as vibration and shocktests, free fall acc IEC and impact. The electrical laboratory allows a lot of different tests for simulations of applications and combination with the above.